​Roads are often safe, but with that many moving machines, it can get chaotic. If an accident happens, it can cause havoc on more than one person’s plans. The damage caused can extend far beyond the collision itself. In an accident, towing Perth becomes necessary. The damaged vehicles occupy space on the roads and become blockages in traffic. Cars can’t flow properly, costing everyone both time and money. In many cases, an accident can also leave road hazards behind. Managing an accident can be a challenge. A regular towing service won’t cut it because there are other concerns to keep in mind. Getting the vehicle out of the way is not the only priority. For accident management, you want to call professionals to handle the towing. Our team specialises in putting efficiency into managing incidents and accidents. 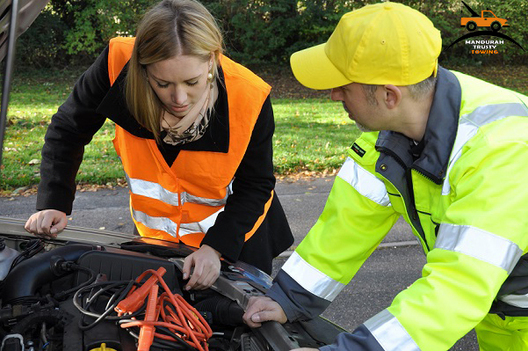 Our service can send a team to your location, handling the problem, as soon as possible. Whenever possible, we work to keep it a short timeframe. Our fleet has trucks that are ready to tow away anything broken and damaged. We can handle small cars and large machinery, trailers and cargo. The team is equipped to clean away any debris. We provide equipment and training, so our crew can process the site safely. We also work to meet all applicable requirements, ensuring that the location is safe and adequately protected from interference. Our drivers have all the required licenses and training certificates. Your vehicles and the accident site are going to receive excellent care. We have years of experience in handling the specifics of an emergency situation. We work with emergency response teams and can implement the standard safety procedures. We also have teams that specialise in dealing with dangerous goods. If you need a team that handles accident management with utmost professionalism and quality of service better than anyone else in Western Australia, call us.